For the second calendar quarter in a row, smartphone shipments represented more than half (52%) of the world’s mobile phone shipments. Led by electronics manufacturer Samsung, an estimated 408 million handsets and 214 million smartphones shipped during the second quarter of 2013, according to market intelligence firm ABI Research. The Samsung Galaxy Appeal is one of the first mass produced phones to ship with a high performance 3G CMOS power amplifier (PA). Despite an historical presence from CMOSin the 2G handset market concerns over performance have severely limited its progress in the 3G domain. Javelin Semiconductor Inc., innovator of the world’s first high-performance CMOS 3G power amplifier (PA), announced that Samsung Electronics Co. Ltd., has selected Javelin’s PA for the new Galaxy S Duos with dual SIM functionality. 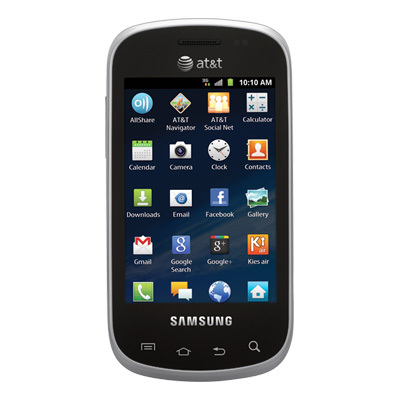 The Galaxy S Duos is a stylish Android-based smartphone that features a 4-inch touchscreen, 1 GHz processor, 5 megapixel camera, Bluetooth, GPS and Wi-Fi. RF Micro Devices Inc., a global leader in the design and manufacture of high-performance radio frequency components and compound semiconductor technologies, announced that it is enabling Samsung's next-generation GALAXY Note II with RFMD's PowerSmart® Power Platforms — the industry's first and only converged multimode, multiband (MMMB) power amplifiers. Javelin Semiconductor Inc., innovator of the world’s first high-performance CMOS 3G PA, announced that Samsung Electronics Co. Ltd. is shipping Javelin’s PA in the new Galaxy Appeal for AT&T.